Plenty of people have been asking me for some new workshop dates, so here they are! I’ve tried to add a variety of dates and types. 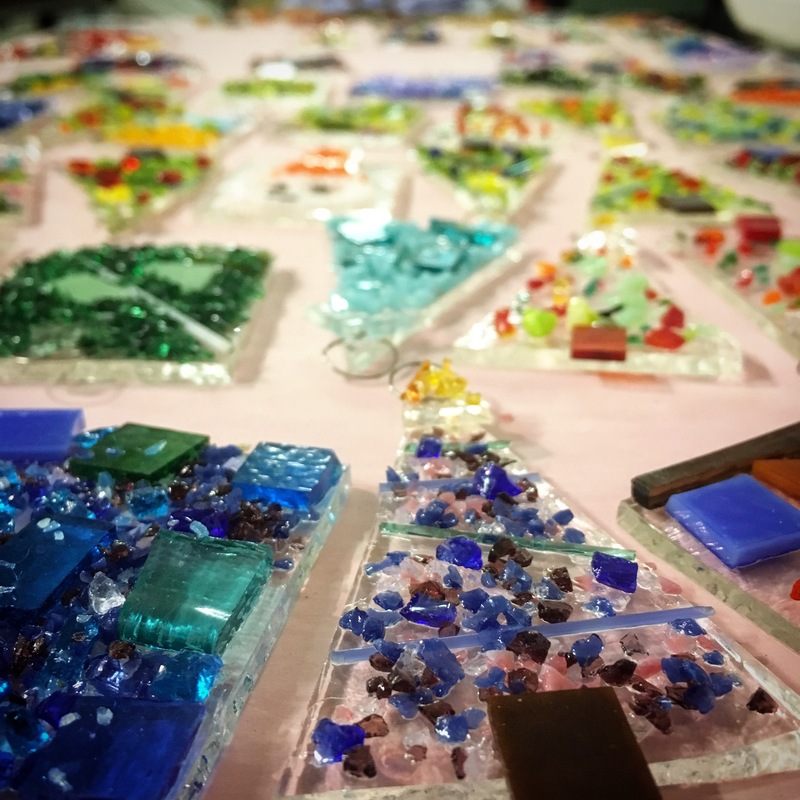 A few Introduction to Glass Fusing sessions, which are full days where you learn to cut and break glass. 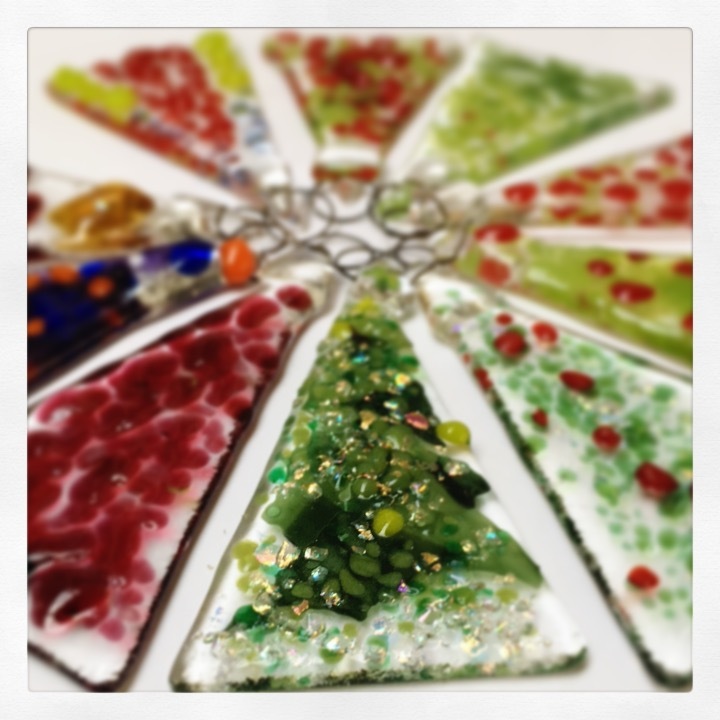 You have an opportunity to design and make items in window glass before moving on to working with colourful art glass and a few more techniques. Without blinding you with science, I will also tell you a little more about the properties of glass and how and why we can do so many wonderful things. All safety equipment and specialist tools are provided. I’ve also added in a few taster sessions. On these, you are provided with glass blanks and you design and decorate your items with my vast array of coloured glass and accessories. No glass cutting is involved, just the freedom to get creative, so the day is shorter. These are ideal for those with a little less time on their hands, or who may be nervous of the prospect of cutting glass. People with hand strength or dexterity issues as well as younger participants can take part in these sessions too. It also serves as a great introduction to the world of glass fusing without committing to a full course. I would point out that the studio is a working space and access is slightly restrictive because we have three steps at the entrance. Taster sessions include a family fun workshop during school half term, a couple of sessions dedicated especially to Christmas decorations. We might break out the mince pies and non-alcoholic mulled wine and play a few seasonal tunes! As well as a chance to make some gifts in time for the big day. Select the correct price workshop from the top drop down menu, and the actual date from the second menu. When you add to basket, there’s a chance to add more than one place if you’re booking for friends or family. Session timings – any evening sessions will start around 6pm, but willing to be flexible with people’s commitments. Daytime tasters generally start mid to late morning, but again these can be flexible if need be. Get in touch HERE if you have any questions or problems! NOTE: SATURDAY, 19TH JANUARY IS NOW FULL – PLEASE GET IN TOUCH IF YOU WERE INTERESTED IN THAT DATE I MAY BE ABLE TO OFFER ANOTHER DATE CLOSE BY. canada drugs online http://dfsawdfghjkxsas.com/ Kudos. Excellent information.